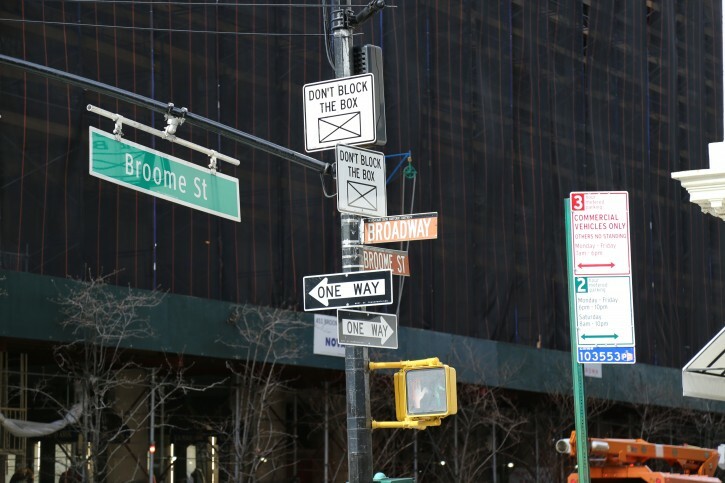 New York - NYC Announces Stepped-Up Enforcement Of "Don't Block The Box"
NYC DOT and NYPD bring back "don't block the box" to 50 busy intersections citywide. New York - Mayor Bill de Blasio announced today that the NYC DOT and the NYPD had prepared enhancements to 50 key intersections where block- the-box violations will now be aggressively enforced. 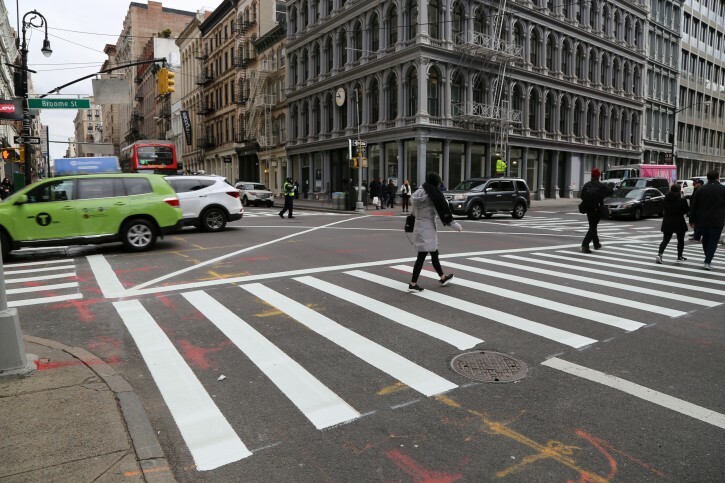 DOT Commissioner Polly Trottenberg and NYPD Chief Thomas Chan made the “Clear Intersections” announcement at one of the targeted intersections—at Broadway and Broome Street in the SoHo section of Manhattan. “The NYPD is dedicated to the Mayor’s initiative to improve traffic flow and to move traffic safely,” said NYPD Chief of Transportation Thomas Chan. “Drivers who block intersections are contributing to overall congestion, and their disregard of this particular traffic rule comes at the expense of other drivers including emergency vehicles. In Manhattan, vehicle travel times have declined by 23% since 2010. Drivers who enter intersections without sufficient space on the other side “block-the box,” which can have cascading effects on traffic and create dangers to pedestrians who cannot cross streets safely. The Clear Intersections effort includes 50 key intersections citywide and is part of a comprehensive series of efforts announced by Mayor Bill de Blasio last October to ease congestion in busy thoroughfares across the five boroughs. Block-the-box violators face minimum fines of $115 and possible points that can lead to the loss of a driver’s license. As part of Clear Intersections, DOT has installed special markings and/or updated signage at key intersections (see list below) to make drivers aware of the restrictions. The City chose intersections along major routes leading to river crossings, highway on-ramps, and commercial centers. NYPD will increase enforcement at these locations to keep traffic moving, hiring an additional 50 uniformed officers to enforce block-the-box violations. This is good news - because there are too many people of all types who try to make the light and wind up getting stuck in the intersection causing everyone to be delayed. For those of us with a "chap arhyn" attitude because they need to make up lost time, they will now face consequences for their actions.